I have been seeing lots people making there own backgrounds using heat embossing and distress inks so I though I would give it a try. 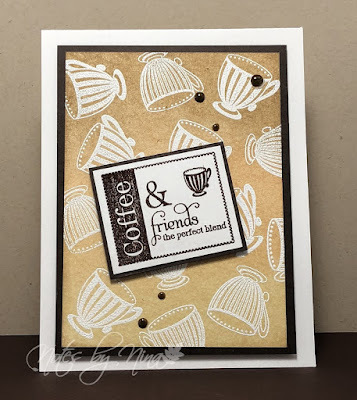 I heat embossed some mugs in white then used varying shades of brown distress inks. I added a layer of brown cardstock. I heat embossed the sentiment panel in brown then popped it up with foam tape. I finished with some Nuvo drops. 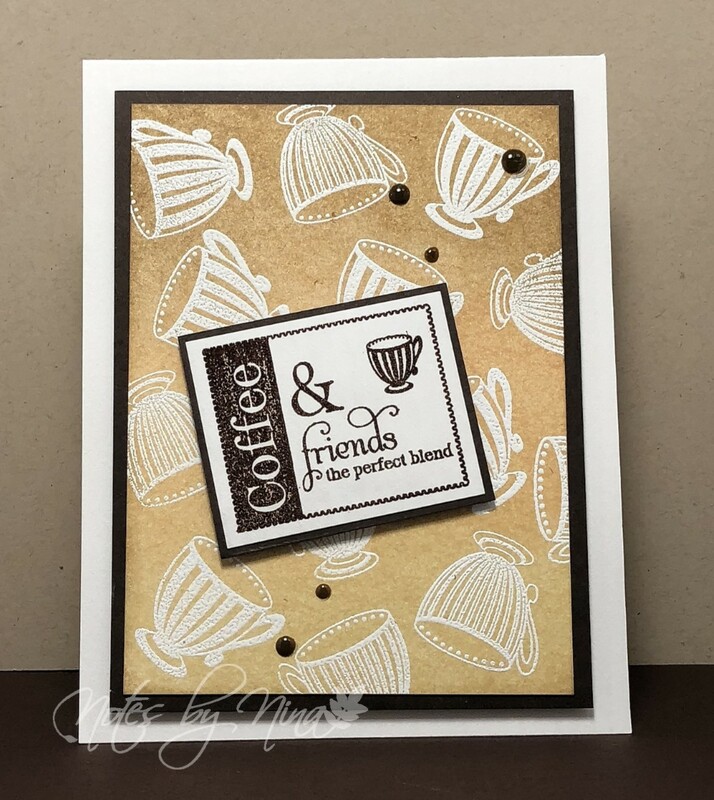 Supplies: White and brown cardstock, Verve-Delightful and Delicious, Nuvo Drops.